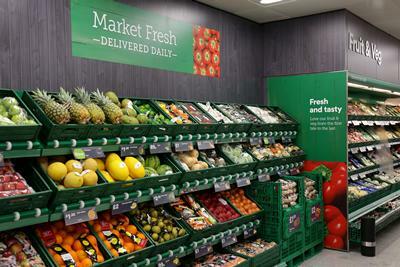 This is the largest in-store trial internationally to look at the placement of healthy products. The impact of product placement in supermarkets on the diets of families will be investigated by researchers at the University of Southampton. Working with retailers Iceland Foods Ltd, and funded by an award of nearly £630,000 over the next three years by the National Institute for Health Research (NIHR), Dr Christina Vogel, Senior Research Fellow in Public Health Nutrition will lead the WRAPPED study to help determine whether creating a healthier layout in supermarkets can improve food purchasing patterns and the diets of women and children. The study is the largest supermarket trial internationally to look at the placement of healthy products in stores. It will test whether increasing the range of fresh fruit and vegetables and placing them at the front of the store helps customers to eat better. “We’ll be focusing our research on women as they do most of the food shopping and because mothers’ diets are closely linked to their children’s food habits; also national statistics show that 50 per cent of women aged 25 to 34 years in England are overweight or obese,” she continued. Dr Vogel and her team will survey women participating once before the stores change, and three times afterwards to find out about the food they and their young children (aged two to six years) usually eat, and their views on the supermarket environment. Women will also be asked to share the food purchasing information from their loyalty cards for the period of the study.